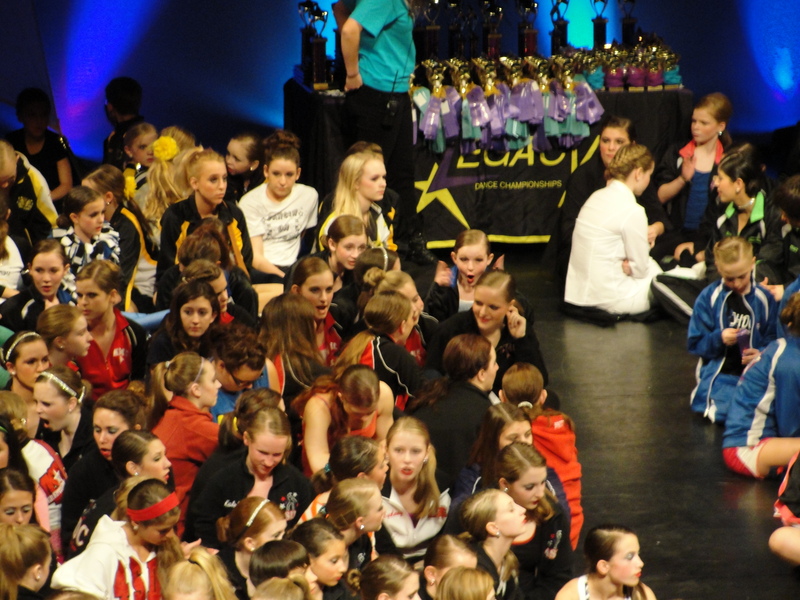 The Legacy Dance Championship was our first competition of the year. 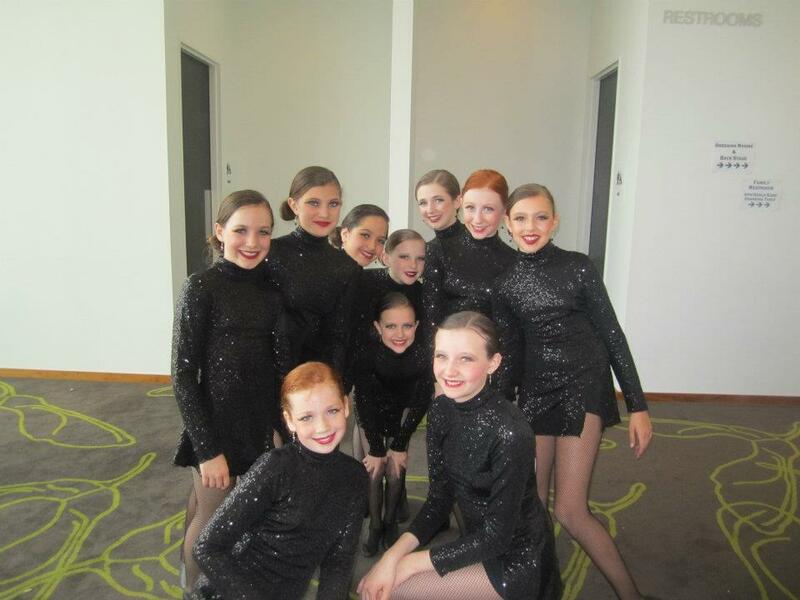 This is our first year with Grace dancing competition with Lake Area Dance Center (LADC). Being that she is one of the younger dancers in her class, this means she also moved up to the Juniors division. Grace didn’t dance until Sunday. We went on Saturday to cheer on the dance studio. We watched the Sugarplums (5-6 year olds) and Sparkles (7-8 year olds). We watched large groups, solos, trios and duets. We watched the awards ceremonies where several Lake Area dancers placed in the top 3 positions in their solos and trios. The Sparkles swept their division with a first in tap, 2nd in jazz, and 3rd in ballet. The Sugarplums also placed in the top 7. It was fun just being in the audience, enjoying the dancing, without the pressure of getting a dancer ready, running back and forth, etc. Legacy was held at the Burnsville Performing Arts Center. We were there last year for Masquerade. We love this site! Grace was excited they were back in the amazing dressing rooms behind the stage again. She loves the mirrors with lights all around them. The auditorium is huge, which makes it a great place to be a spectator. This year, I took an opportunity to check out the upper balcony. I couldn’t believe how packed it was – even up there! The inside and outside of this location was beautiful with plenty of space for people to hang out, groups to practice their dances, etc. It was also close to many hotels, food, etc. There was a parking ramp, but parking was free. Overall, we love this venue, and look forward to coming back next month! The one downside to this venue? The food was quite expensive! I thought $3 per bottle of pop was an over-the top price. For lunch, they had Subway bag lunches you could purchase for $6.50. Not too bad a price for a 6″ sub, chips, and cookie. The subs were pretty soggy though due to a tomato and lettuce already on the sandwiches. Due to the pre-assembly of the sandwiches, Grace would not eat hers, and sat whining about how hungry she was. Ugh! Maybe next time, they can bag the lettuce and tomato separately? On a side note, Grace is also allergic to tomatoes, so I didn’t make her eat the sandwich. This event was great! The dancers danced pretty close to the times they were scheduled to dance. While they got ahead of schedule on occasion, they also got back on track pretty quickly. The judges and Emcee were awesome! They had good energy, and fun “judges awards.” We had a lot of fun both days we were there! Once again, this year, there was some GREAT competition!! Some of the other studios we saw with placement awards included, Dancin’ on Broadway, 4th Street Dance Centre, Jam Hops, Jan’s School of Dance, Metro Dance Center, and Arabesque School of Dance to name a few. The main categories were “Novice”, “Intermediate”, and “Advance”. There was also a “Competitive” level, but I’m not sure what the difference was between that, and “Advanced”. The judges seemed to be fair, though I didn’t agree with all of the scoring. There were a few dances that scored Elite Gold that I thought should have been Platinum, and vice versa. Some of the rankings were not quite how I thought they should be; then again, I am not a professional, and there were likely things I didn’t see that they did. I also think there were maybe a few dances that were not in the best category for their dance – I wonder if that may have affected scores some too. Grace’s face when she heard they got a “Platinum” score was priceless! I thought all of our dancers did a great job! It was the best I had seen them dance all 3 dances so far. I’m really looking forward to them getting another performance under their belts, as I’m sure they will just keep getting better each time. We are finally getting used to how the scoring and awards at competition goes: every class was given a ranking based on their total score. The rankings were: Silver, High Silver, Gold, Elite Gold, or Platinum. Each of the girls was given a ribbon with their ranking, and a trophy was given to the group. I think Grace was bummed that this competition didn’t give out pins, like the ones from last year did. The LADC Angels scored Elite Gold for their “God Bless America” lyrical dance, Platinum for their “Body Language” jazz dance, and Platinum for their “Hungry Like a Wolf” tap dance. The judges each gave out 3 of their own “special awards”. The Angels didn’t win any of those, but several other LADC groups did. There were also placement awards (of course). Plaques were given to each group dependent on their placement. 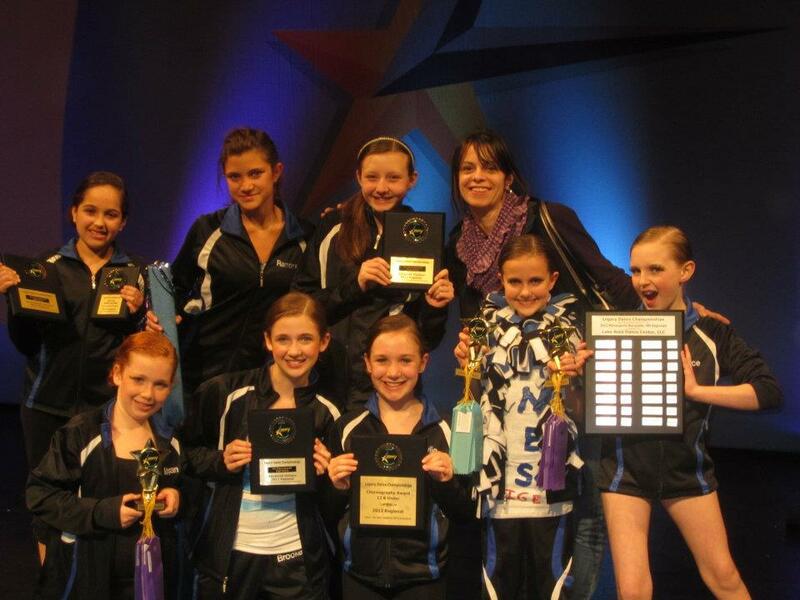 Grace’s group took 7th place overall for lyrical, 5th overall for jazz, and 3rd overall for tap. Maria, their instructor, and owner of LADC was given the “Best Choreography Award for Ages 12 and Under” for her choreography on “Hungry Like a Wolf.” That’s #1 out of 299 dances! Pretty awesome! During the Awards Ceremony, the Emcee accidentally skipped 5th place. The girls knew they had gotten a higher score on their jazz dance than they did with their lyrical, which had already placed. As they got to number one, several of the girls thought it was going to them. When they called a different group, the girls were confused. They finished out the section, and went on to the next. Even when Maria went down to the judges’ table to get it figured out that it was our girls who got the 5th place that had been skipped, they didn’t publicly correct the mistake. I understand that’s what it was – an honest mistake. As hard as the girls, and Miss Maria worked to earn that, they should have been publicly recognized. It was a bit frustrating. The only other thing I didn’t love, was that each of the studios was represented in the programs by a code number. Nowhere in the book, did it tell us which studios were what code. We had to try to figure it out during the awards ceremony. It would have been nice for them to name all the studios being represented. While the girls had some really quick costume changes to contend with, they handled the stress pretty well. They all danced great. We had a lot of fun at this competition!